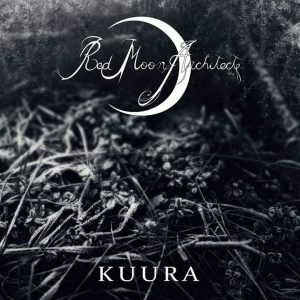 Kuura part 1 starts us off with witchhamner like drums and a slow and forlorn agonizing atmosphere. Has a early black metal like production, the improvised vocalizations sound like souls being eviscerated in hell itself. But the music is absolute funereal beauty. It breaks down to droney guitar with synth in the background. This is one of the most unnerving records ever created. Kuura part 2 fades in with sinister cosmos like synth creating the bleakest, desolate atmosphere. The synth created cosmic wind with the eerie notes send chills up the spine. The soundscapes created paint a horrid image in your head. The final piece, Kuura par 3 starts off with a very solemn synth. Embracing the beauty of death. Incredible vibes and musicianship. Cascading guitars and the graveyard fog synth creating melody. Forlorn improvised vocalizations are both scary and depressing all at the same time. So beautiful, so raw, so depressing. A fantastic piece of art.